Patti & Scott Scharf - Great catch up. 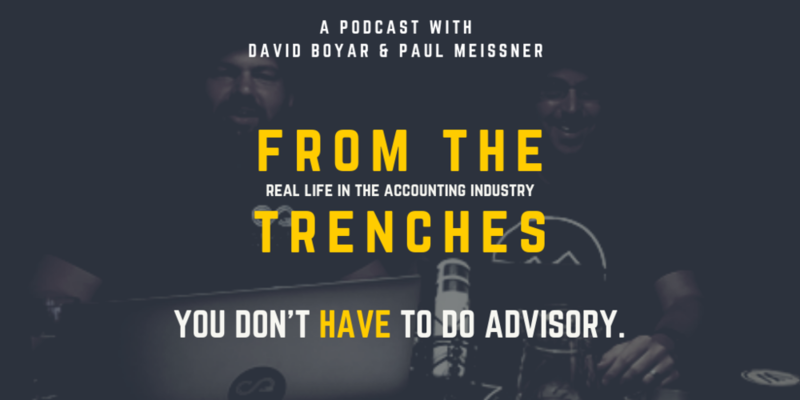 Amazing how small the world of accounting is and how the conversations about advisory, technology, pricing, etc are far different to a lot of the general conversations out there, especially by salespeople. RBXxchange - the explosive bookkeeper v accountant conversation that ended in a very productive chat with ATT Director Cassandra Scott. Work life balance used to be about the amount of time you spent at work. But with more and more people not really having an ‘’at work’’ mode or place, work is kind of everywhere all the time. This puts pressure on being present. Now Australia overall doesn't have it that bad, according to the OECD better life index, we rank 30/38 countries for working "very long hours" (50 or more) with just 13.8% of us doing so and the trend is down .2% since 2005. What impact does this have on: you, your family, staff and clients? This was an issue raised in an earlier FTT episode where we were joined by both Paul and David's FCA fathers - how does this new generation deal with being 'aways on'? 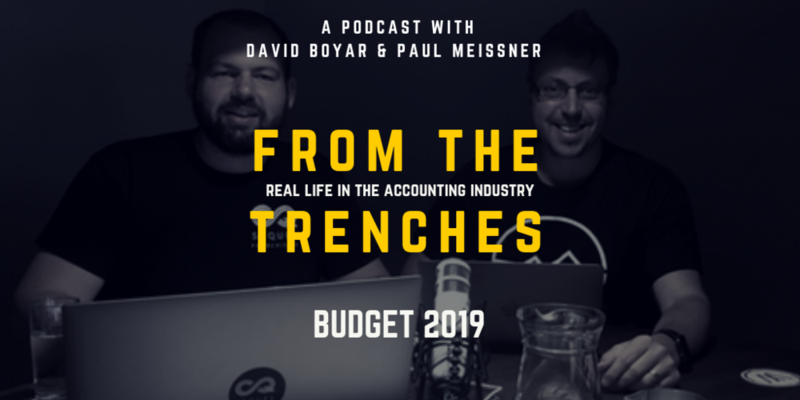 Paul sat with Angus Capel, Xero Small Business Advocate and former adviser to Federal Small Business Ministers, Michael McCormack and Craig Laundy, to get an inside look at how the Federal Budget gets put together. A Budget piece outside the budget news cycle? How dare we! But that is just the point of accountants. We care about the budget even when it doesn't give us clicks. With David and Paul sitting on the Xero budget panel and live tweeting the event of the year (we believe that) this show is non stop action. Hubdoc and Fathom produced a ''you have to do advisory'' article that missed the mark by so much, they edited it after Paul politely brought it to their attention on Twitter. This week, David is coming straight to you from Accounting Business Expo. He's joined by the biggest and brightest leaders propelling our industry forward for an epic panel discussion. 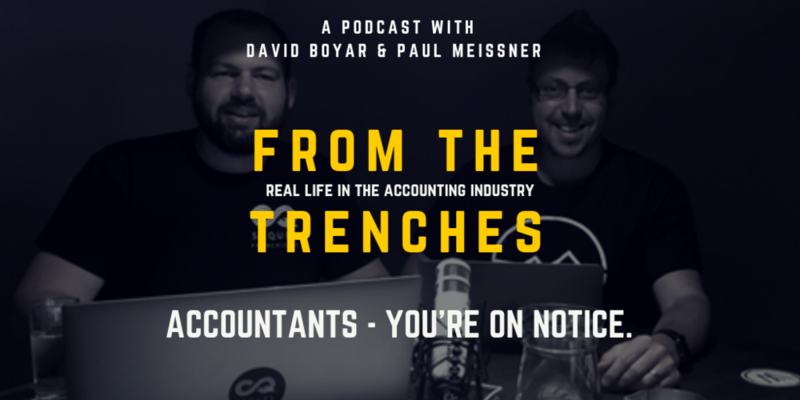 NOTE: Paul couldn't get to Accounting Business Expo but don't worry, he comes up often in this episode! Water Cooler Lunch Series - Request your seat to join David and Judo at one of our Melbourne lunches and learn about expanding your network of professionals to include CFO advisers (yes, Sequel CFO works with accountants) and new bank lenders. With so much attention on the banking sector both David and Paul are sure that new entrants are going to have an impact. One such entrant is Judo Capital who is going to be able to compete at similar debt pricing to traditional SME lending banks. David tracked down Judo Capital's co-founder and joint CEO Joseph Healy for a wide ranging interview. The highlight of course, is his envy that bankers don't have the trusted relationship us accountants have with clients. Shoes of Prey went in to liquidation - when you listen to your customer, but your customer doesn't actually know what they want. The battle for work/life balance is lost. The war for device/non-device balance has just begun. Indepth: You don't HAVE to do advisory. Generic conversations about accountants having to do advisory, from people who've never done it. It comes from this idea that because advanced use of technology means that it takes a lower amount of time to do traditional compliance work. It stems from a line Xero used to tout, 'Compliance is dead, you have to do advisory'. What's wrong with the way advisory is being spoken about? Interview Panel: Why you should stick with MYOB. Thanks to MYOB, David got to sit down with some awesome accountants who have kept their firms on MYOB amidst rapid industry change. Their stories are compelling and enthusiastic! Following the ATO’s scandal last year a parliamentary committee has made 37 recommendations for changes into the ATO handling of disputes. The recommendations have some good and some bad, so in true FTT style, David and Paul try to work out which ones will work and which won't. Check our our interview with Debt Commissioner Robert Ravanello here. Indepth: Accountants - You're on Notice. We live in an anti-establishment world and accountants are perhaps the thread that ties the establishment together, so we need to be aware. With Royal Commissions into banking, aged care, mental health and pay day lenders, as well as parliamentary inquiries into franchising and even the ATO facing a Parliamentary committee, we have to be on alert. Is our behaviour and action truly inline with our regulatory obligation and being the trusted advisor we think we are? In the wake of these commissions and inquiries, many of which slammed the practices of sales and cash collection cultures, our industry is peppered with consultants telling us to grow, sell, use value pricing which charges clients different fees for the same work and sometimes same outcome. We need to focus on being who we are and being great at it, because an inquiry into our conduct is not a far bow to pull.